The dream clutch bag! It’s so gorgeous! I went for classic black in the croc print for the added glamour factor and silver hardware. It is the perfect size to fit in everything you night for a night out or lovely dinner, it’s not the type of bag that I personally would use as an everyday bag. 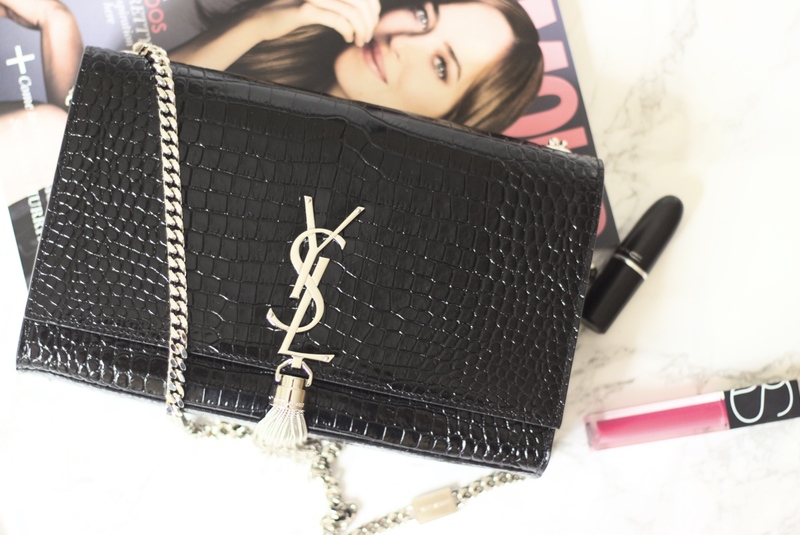 Wait… I forgot to introduce this post in my excitement, here is the YSL handbag that keeps appearing on my Instagram. 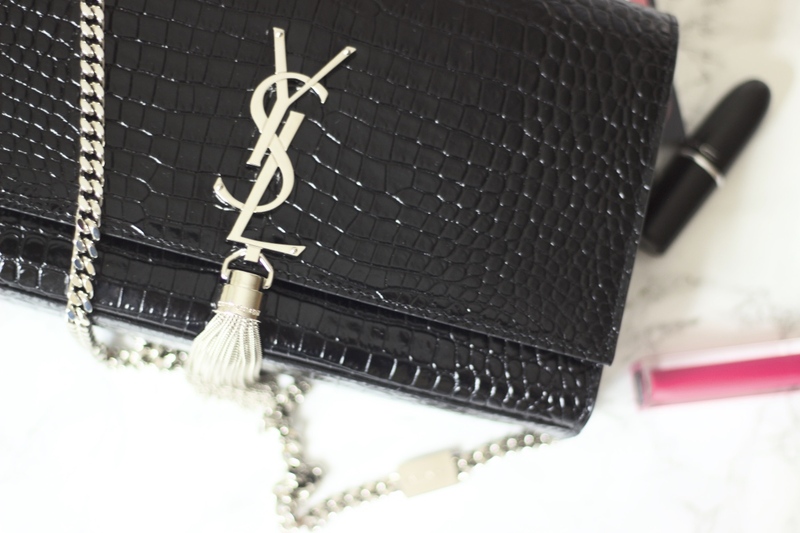 Have a sneak peak inside my handbag and the YSL clutch bag! hope you enjoy the video!